A pro-gun activist lobbied for “constitutional carry” by showing up at Texas lawmakers’ homes. Now the bill is DOA. vincent_admin April 7, 2019 April 7, 2019 Comments Off on A pro-gun activist lobbied for “constitutional carry” by showing up at Texas lawmakers’ homes. Now the bill is DOA. 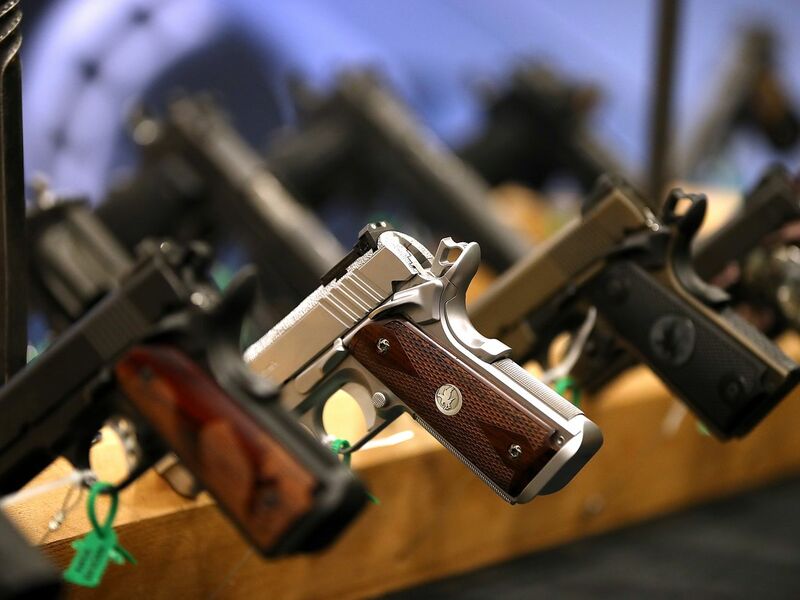 The bill would have allowed gun-owners to carry concealed firearms without a permit. A Texas bill allowing gun owners to carry concealed firearms without a permit is now indefinitely stalled after a pro-gun activist advocated for the legislation by stalking state lawmakers — even appearing at their homes. On Friday, Texas House Speaker Dennis Bonnen announced plans to abandon the “constitutional carry” bill after the activist, Chris McNutt, showed up at his doorstep and at the homes of two other lawmakers. McNutt, executive director of the nonprofit Texas Gun Rights, was reportedly outraged the bill failed to advance quickly through the legislature. He posted a series of rants to his group’s Facebook page complaining about the legislative inaction. He followed these posts with videos of himself visiting the neighborhoods of two Republican state lawmakers, Reps. Dustin Burrows of Lubbock and Four Price of Amarillo. McNutt’s social media activity prompted Texas state troopers to put Bonnen’s home under surveillance, the Houston Chronicle reports. That’s how authorities were able to intercept the activist when he attempted to visit the speaker’s home last week while Bonnen was nearly 200 miles away at the state capitol in Austin. Bonnen’s wife and teenage son were reportedly home at the time. “One fringe organization’s leader disturbingly traveled over 700 miles in 24 hours just to visit the homes of lawmakers — knowing full well that members were hundreds of miles away in our Capitol while wives and children were alone,” Bonnen said in a statement. McNutt’s actions seem to have rattled several state lawmakers who now say they no longer plan to move forward with the controversial gun bill. House Bill 357 would allow gun owners to carry a pistol, either openly or concealed, without a permit. In February, the chairman of the chair of Texas’ House Homeland Security Committee, Rep. Poncho Nevárez, said he planned to hold a hearing on the bill before the end of the legislative session. In light of recent events, however, Nevárez says he has reconsidered. McNutt claims Bonnen is guilty of “fabricating a media hit” against him and other grassroots advocates across Texas. “If politicians like Speaker Dennis Bonnen think they can show up at the doorsteps of Second Amendment supporters and make promises to earn votes in the election season, they shouldn’t be surprised when we show up in their neighborhoods to insist they simply keep their promises in the legislative session,” he said, according to the Dallas Morning News. There’s been a wave of so-called constitutional carry or “permit-less carry” laws sweeping across the US in recent years. The laws allow gun owners to carry firearms, concealed or not, anywhere in public without obtaining a permit or special training beforehand. As many as 20 states have considered measures that roll back restrictions on gun ownership. South Dakota became the latest state to enact such a law earlier this year, and now allows its citizens to carry weapons without a permit. Lawmakers in both Kentucky and Oklahoma advanced measures that would remove requirements for permits and training in February. According to The Trace, a nonprofit news site that exclusively covers guns and gun violence, local grassroots activists in each state are largely driving the movement to expand concealed carry rights. While the nation’s largest gun lobby champions the latest bills in its press releases, local lobbyists who take the NRA’s absolutist rhetoric at face value find themselves chafing at its corporate model of working hand-in-glove with establishment politicians. The resulting friction has fed into the upheaval taking place within gun politics (and American conservatism as a whole) since the rise of the Tea Party, which has left the NRA frequently following, rather than steering, the emboldened extremes of its coalition. Activists in several states told The Trace that the NRA — which did not respond to requests for comment for this story — has not helped their cause. In one state, they point to direct evidence that the NRA has undercut their proposals. The efforts of pro-gun activists are starting to bear fruit. Prior to 2010, only two states allowed concealed guns in public spaces without permits or specified training. Now, more than a dozen have constitutional carry laws on the books. But as state lawmakers made clear this week, Texas likely won’t join their number any time soon. Why do we find some foods disgusting? Will Ali Neeson have a car crash in Coronation Street and will he die?